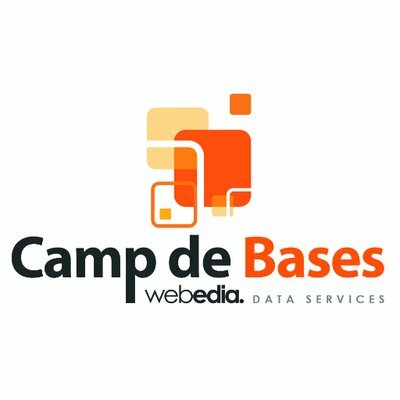 Camp de Bases is a young and innovative company and is part of the group Webedia , the first French digital publisher in the world. They are committed to supporting brands in the creation of Smart Data. Camp de Bases' team helps you to activate your cross-channel marketing campaigns. Their production team accompanies you on a daily basis in the management of your campaigns: targeting, activation, and reporting with best practices. Camp de Bases consultants accompany you every step of the way in developing your Data Marketing strategy. Depending on your objectives and the data at your disposal, they provide with you a roadmap (generally over 12 months) to establish your data marketing strategy. Camp de Bases' Data Science service gives you a thorough knowledge of your targets. Their team of experienced Data Scientists helps you to deepen your customer knowledge and predict their behavior. Embark with them for a high-flying experience: create and segment your customer base, employ predictive models, and optimize your performance. Quintessence is Camp de Bases' Customer Data Platform (CDP). 100% compatible with your business ecosystem, Quintessence converges, processes, and normalizes your online and offline data for a 360° customer vision. A simple, intuitive interface and clear dashboards help to monitor the performance of your database.